After feeling happy that the iBook was back in working order, the next step was to install Linux, but which one? I was quite sure that whatever did get installed on the iBook, it had to be fairly user friendly and somehow familiar. My brother has used PCs and Macs, so in order for my nephew to make working sense of it, my bro would also need something that wasn’t too alien to him. As an aside, if this all worked out, I was also hoping to also bring his iBook G4 to the present as he is a big music blogger and his computer is struggling to keep up to date. The best way to evaluate Linux packages is to create and run virtual machines or instances of various operating systems. A virtual machine is basically, a whole operating system environment packed into a disk image that the VM software can load and present in a window. It’s fully interactive and makes use of hardware connected to the computer hosting it. There are several virtualisation options, Parallels and VM Ware Fusion, being the most common on the Mac. However, I chose VirtualBox which is an open source, free, piece of software which would be ideal as a test bed. It was a small project, but it has gained in popularity and functionality since Oracle took over the initiative with their acquisition of Sun Microsystems. Whilst many may complain about large companies taking over projects, Oracle has a good track record and have sought to develop this software for the community. So with VirtualBox installed, Linux versions (or distros) needed to be chosen. Ubuntu is the well known distribution of Linux that is user friendly enough for most Mac and Windows users to be able get around it. It also comes pre-installed with and key applications you might need such as Firefox, Thunderbird and OpenOffice. It all sounds good, but through some research, it seems that it may not run on hardware so well. Luckily, there are other Ubuntu options. How can the same operating system be too resource heavy in one instance and then optimised in another? This is the benefit of open source and the community it generates. I’m not the only one in the world who wants to rejig old hardware. 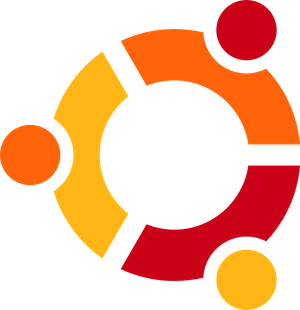 Developers have created Ubuntu with alternate user interfaces that are less resource heavy and some that are suited to more specific fields of use. For example, Mythbuntu is a version that is designed to be used as a TV set top box and Ubuntu Studio is customised for multimedia production. For my project, I was looking for a lightweight version, simple to use and something that is current and, course, something that works on a PowerPC. For this I discovered four options, all Ubuntu based. These four versions fit the criteria, so I went off and found the respective Intel versions and created virtual machines of them each. Xubuntu fell by the wayside because I felt I was looking at too many options and forums were generally not talking about it over the other three.